For a medical practice to live up to its full potential it needs the financial supervision of a CFO or Controller. If your practice is ready to get to the next level but not ready to hire a high-level financial professional, contact Mitul Mehta CPA PC. Our Dallas, TX CPA firm offers outsourced controllership and CFO services for doctors, dentists and other medical professionals looking to grow and increase profits nationwide. We'll carefully review the financial state of your medical practice to formulate a plan that encourages growth and increased profits. Our business strategies will eliminate unnecessary expenses that are draining your resources, improve productivity, and fine-tune internal controls. With our support and direction your practice will be able to regulate cash flow and sustain profitability through economic fluctuations. And if you're preparing for a major leap forward through a practice acquisition or a merger, we'll be there to assist you during the process and minimize the tax implications. 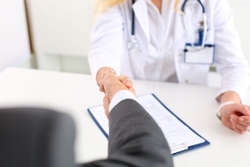 Take the first step in greater success for your medical practice! Start working with Mitul Mehta CPA PC today by calling (214) 746-5074. We offer a strategy session to prospective clients.